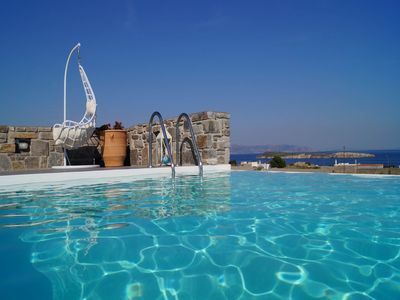 Villa Aura is a charming swimming pool villa with great sea view to the endless blue of the Aegean Sea. 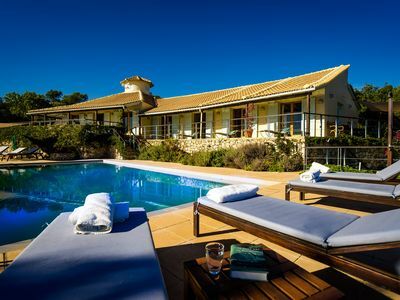 The villa features 4 bedrooms with 4 en-suite bathrooms and may accommodate up to 8 guests. 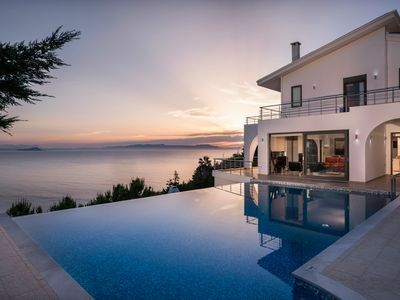 It is a newly built (2017) property with elegant interior design and easy access to the Golden Beach (Chrysi Akti). 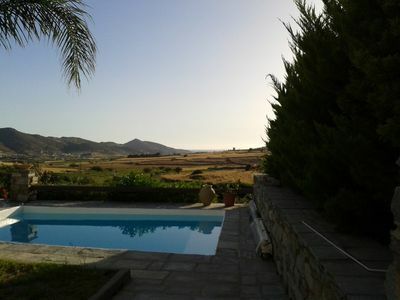 Located between Drios and Aspro Chorio (White Village), the villa is in close proximity to various beaches of the south east side of the island and also close to seaside villages makes it easy to find your favorite spot around. The ground level (pool level) features one open plan fully equipped kitchen with dining table and a living room equipped with a cozy sofa, a 55 inches TV, sound system and DVD player. 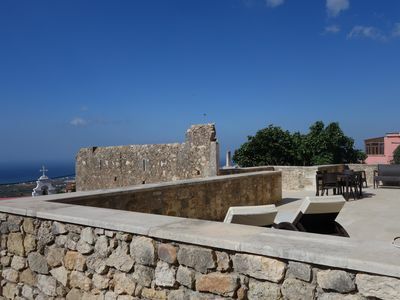 Both rooms enjoy sea and pool view and have direct access to the terrace & the pool area. 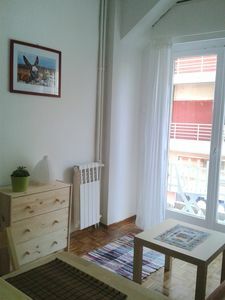 At the same level, there are three en-suite double bedrooms. 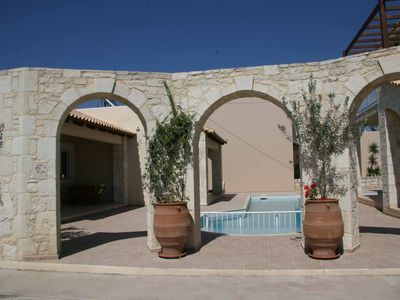 The two bedrooms have double beds and access to the terrace at the back side of the house. 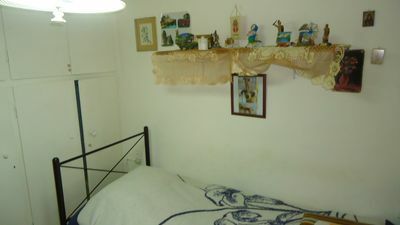 The third bedroom has two single joinable beds. The lower level features a spacious en-suite double bedroom with two single joinable beds and a living room with a sofa bed. 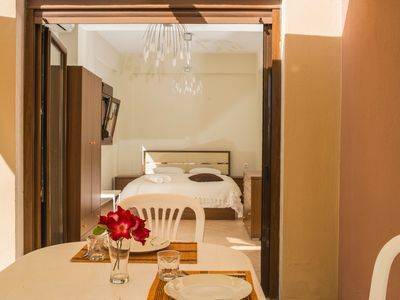 All bedrooms have private bathrooms with shower. 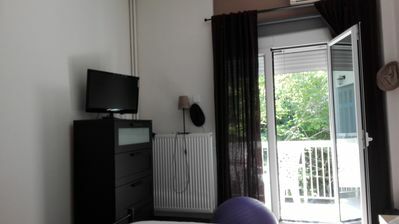 All rooms in both levels are air-conditioned and smoking is not allowed. 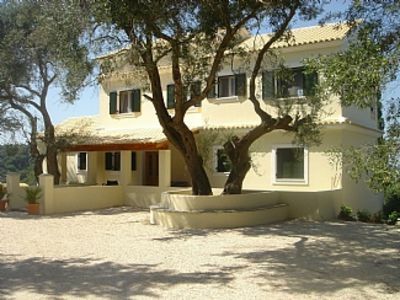 The villa offers also the possibility to host 2 more guests (children) in sleeping sofas with extra charge. 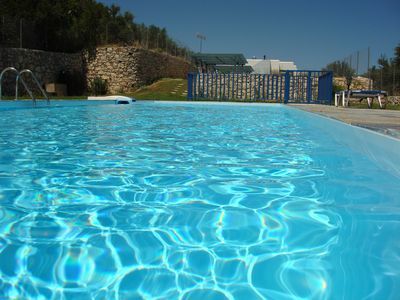 Outdoors, there is a private 40sq.m swimming pool with saltwater chlorination system. 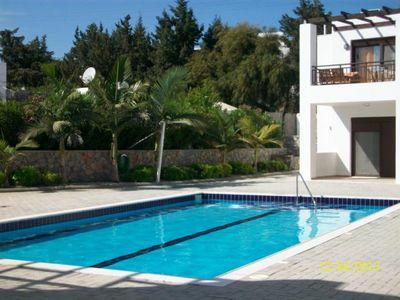 The swimming pool area is equipped with outdoor furniture either for relaxation or for sunbathing. 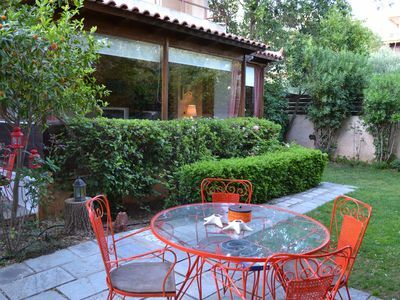 There are sunbeds, a swing, seating & lounge area, shaded dining area and barbeque operating with gas. Guests may enjoy beautiful sea views by the pool. Private parking space is also available. 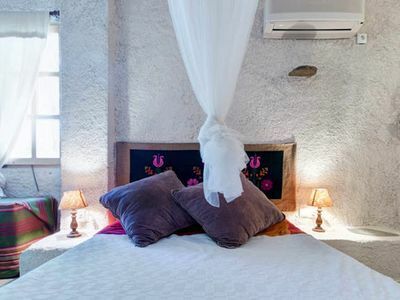 Cleaning and change of linen, towels and pool towels is provided one time per week. Other amenities are washing machine, safe box and baby cot or highchair (upon request). Nearby beaches are the Golden Beach, Drios and Lolantonis. Paros has unparalleled natural beauty and picturesque villages enriched by the Aegean light and the blue-green waters of the Aegean Sea. It also has a rich history. Thanks to the many findings revealed by the archaeological excavation, it offers today the visitor the opportunity to observe the historical development of Paros, by visiting the archaeological sites and museums. 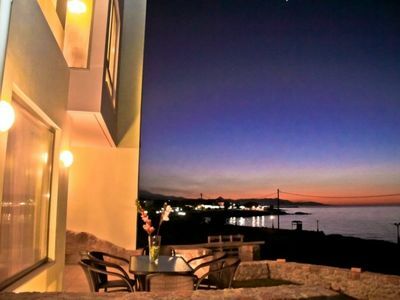 The history of Paros began from the Paleolithic era according to findings in caves and other natural places. Significant discoveries in Saliago (small uninhabited islet opposite Antiparos) confirm life in the Neolithic period (4300-3900 BC). Immense signs for the Early Cycladic and Cycladic era (3200-2000 BC) are the Cycladic figurines found in graves. 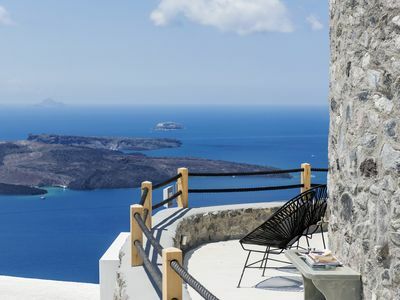 The most prominent Mycenaean palace in the Cyclades in the Koukounaries area, on the cliffs of Kolimbithres, is one of the most important findings of the Mycenaean period. 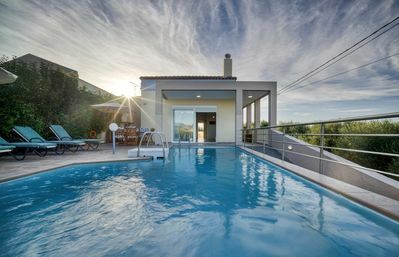 Two villas with swimming pools ideal for families or a large group of friends. 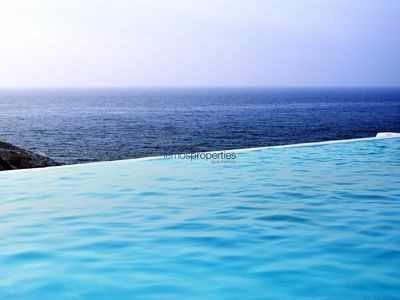 Beautiful Modern Villa With Large Pool And fantastic Sea Views.